Sitting Meditation – learn simple and natural meditation for health and spiritual enlightenment. Wuji Qigong – the mother of Taiji: fuse your body, breathing and mind into one. Soaring Crane Qigong – heal your self, get rid of your bad energy and get the upright Yang Qi. 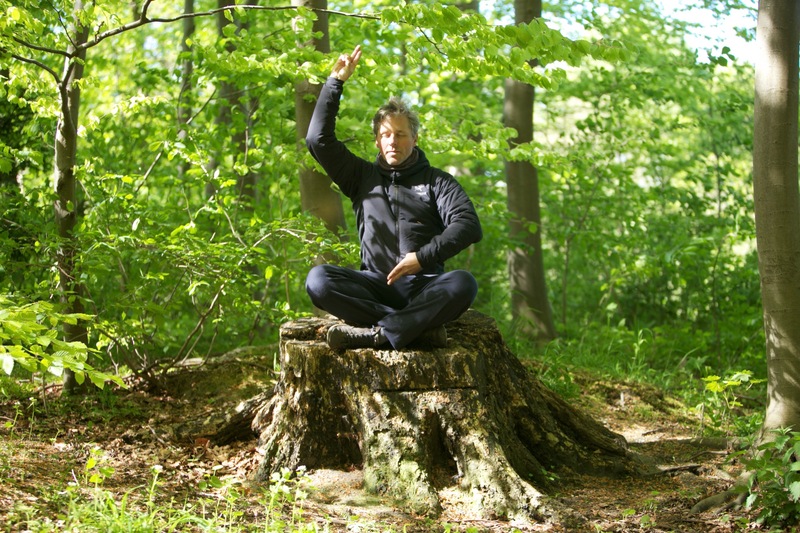 Standing Meditation Qigong – attain structural integrity, boost your energy and firm your mind developing the elastic frame. Moving Qigong: Lifting the Universe – learn to sink, shift and move while being coordinated in body, breath and mind. Loosening Exercises – learn how to loosen and limber up your body effortlessly. Silk Weaving Exercises – Learn to move, receive, store and release energy. Taiji Partner Exercies – Learn to move effortlessly with integrity and awareness “Ting jin” with the 3 Basic Circles of Push hands. Fajin – learn how to release the elastic force of “Pang jin”. NB! Check the News for latest info on seminars etc.